What is your view on the noise canceling headphone? Do we really need noise canceling headphone? Are noise canceling headphones worth the money? Well, in this post, I'll try to answer all these questions. How many of my readers observed an increase in the consumption of audio content? If you're the one who loves to talk about digital technology, then you'll be aware of the fact that the consumption of digital content is increasing at an alarming rate. You'll find more and more people listening to Podcast, audiobooks, music than never before. Well, the increase in the consumption of audio content is good or bad only time will say. I'm sorry but all the headphones available on the market aren't safe. You need to be careful while buying a headphone. You'll be astonished to know that some headphones are so dangerous that it can lead to a negative impact on your ears. In case, you want to know more about the negative impact of headphones, you can read this article. 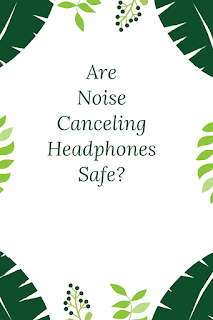 Today I'll be talking about the short-term as well as the long-term impact of noise-canceling headphones on an individual. What is noise canceling headphone? As the name suggests, noise-canceling headphones are the ones that are used to dampen the background noise using advanced technology. They are well-known for negating the unwanted background and surrounding sounds. In the layman language, these headphones have the capability to reduce ambient noise inside the headphone for better clarity and quality. Bose Noise Reduction Technology group were the first to see the success, and the year was 1989. What are the types of noise canceling headphones? There are two types of noise-canceling headphones: Active and Passive Noise Canceling Headphones. I'll talk about them one by one. The active noise canceling headphones are the best on the market. These headphones are highly superior as compared to its counterpart because of the highly innovative technology used in these headphones. Unlike other headphones, they cancel the background noise rather than blocking them. Needless to say, they are known for reducing the low-frequency sound waves. They need a good amount of power to function efficiently. If I talk about the price, then they are costly as compared to the passive counterpart. They are very popular on the market because of there ability to cut down high-frequency background noise. Most of these headphones don't require power in order for them to function. They are way cheaper as compared to their active counterparts. They are really helpful in improving the quality of the audio sound by blocking the unwanted background noise. Can Noise Canceling Headphones Causes Hearing Loss? The good news is they won't. However, there are more to it and allow me to explain it in detail. As you know, these headphones are either used for blocking the background noise or canceling them. In either of the case, they do good to your ears rather than harming. Using these headphones can drastically reduce the intensity of the unwanted noise, and thus negate the damage that can be caused to your ears. But at the same time, I would recommend you to take some precautions if you're using the headphones for a long time. As per the study published in the journal of the Acoustical Society of America in March 2001, showed that low-level noises were more likely to produce a high level of cortisol (stress hormone) in the people. If you're confused about the low-level noise, then let me tell you, they are low-frequency noise. Since the noise canceling headphones cut them, so in a way using these headphones can reduce the production of stress hormone caused due to the low-frequency noise. If I talk about the precaution, it is very important to pick a branded headphone. I agree that most of the headphones manufacturer's are doing pretty well good job. However, there are few in the market that can lead to side-effects such as ear irritation. Another thing that you must consider to safeguard your ears is to avoid playing the music at high bass. It may create some serious complication in the long run. It is also advisable to take a break at regular intervals if you're listening to the music for the long run. As a soundproof consultant, I've completed my journey of 10 years. The journey was quite exciting, and I've loads and loads of ups and downs. When I started, the soundproof consultant was a new domain and most of us working in this domain was skeptical about its future. 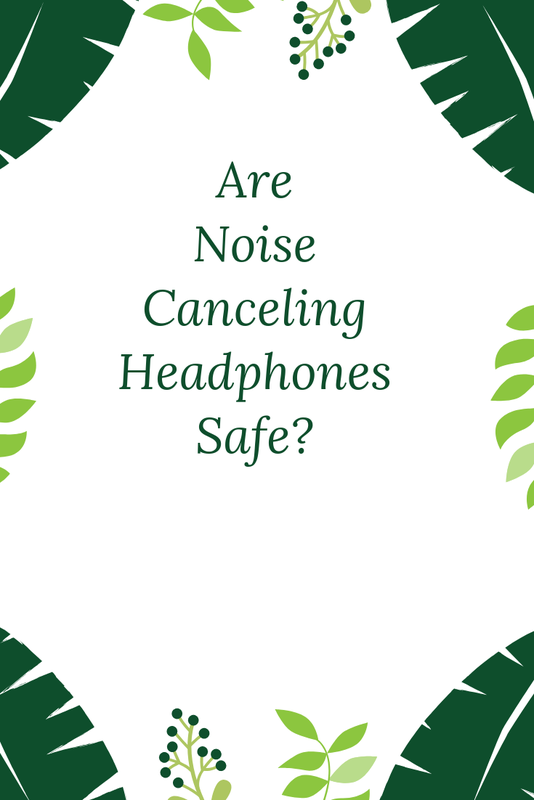 A lot of my clients have queries related to noise canceling headphones. Some of my initial recommendations were debacles. I had to face lots of criticism. However, as I grew in my career and gained more experience, my recommendation started to get appreciation and it was definitely a piece of good news for my clientele. Today I'll be talking about the headphones that have been time and again tested by my team and at the same time I've also received positive feedback about these noise-canceling headphones from my clientele. So without any further ado, let's dive deep into the product recommendations. I always vote for BOSE when it comes to selecting a noise canceling headphone. Without any doubt, they are the pioneer and also the market leaders from the time I'm able to understand soundproofing. They are the ones that give you the best comfort as well as high-quality sounds. With the evolution of Artificial Intelligence and IoT, these headphones have also integrated the feature of the voice assistant such as Google Home and Alexa. The thing that I really appreciate about this headphone is its capability to work well against both the high-frequency as well as low-frequency unwanted noise. The ear-cups are definitely something to praise about. These ear-cups are made of the finest materials that help you to listen to your favorite songs or podcasts for a long duration without any discomfort or undesirable sweating. This brand is known for high-quality sound and safety measures. I can assure you that you'll enjoy the overall experience. I personally feel a good quality headphone should be lightweight and the ear-cups should be big enough to take care of different types of ears. Well, this headphone exceeds my expectation. I'll not say that these headphones don't come with drawbacks. Yes, they do have few drawbacks. I've personally experienced that these headphones pick up some background noise when you're talking on the phone. However, they are better as compared to most of the active canceling headphones out on the market. The battery life is almost 24 hours of listening without any break which is more than enough for me, and I hope the same holds true for most of the person. In case, you're looking forward to this headphone, then you can check the price and the customer review on the Amazon by clicking here. Do Noise Canceling Headphones Work Without Music? DEFINITELY, they work without music. However, you can't expect the same quality when you were listening to the songs. These headphones are designed to perform well by canceling the background noise when you are listening to songs, podcasts or some kind of audio. Is It Safe to Sleep with Noise Canceling Headphones? The short and sweet answer is it DEPENDS. There are some noise-canceling headphones that can cause irritation and can also make you uncomfortable when you're sleeping. However, active noise canceling headphones like the Bose QuietComfort 35 are comfortable enough to sleep wearing it. The term "worth" is relative in itself. It totally depends what you're looking for. If you're the one who isn't worried about the background noise, then I'll recommend you to buy an ordinary headphone, and thus you can also save money. At the same time, if you're the one who loves music to the core of the heart and by no means can compromise on the quality of sound, then you should definitely try the aforementioned headphone. It's worth every penny spent. Yes, but with some restrictions. You shouldn't play the music for a long time without a short break in between. Similarly, you shouldn't play the music at very high bass. If you're taking these precautions, then the headphone is 100 percent safe to use. I hope you would have gained something by reading this piece of information. I've tried to the best of my capabilities to answer your questions. In case, you still have doubt, then you can contact me or leave a comment. I'll get back to you. 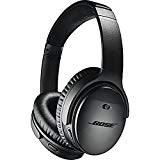 Last but not least, if you're looking for a headphone that can cancel the low-frequency noise, then without any doubt BOSE QUIETCOMFORT 35 is the one you should go for.